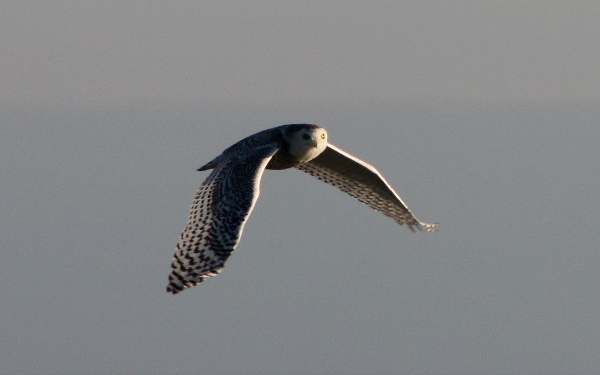 The Snowy Owl no longer breeds in southern Britain, but it is an occasional visitor there and its appearance invariably creates quite a stir among birders. 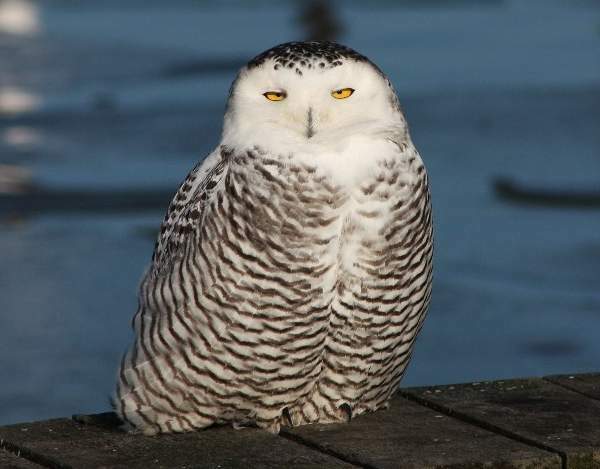 They do still nest in Shetland, but these are mainly owls of Arctic tundra and most plentiful in the far north of Europe, Asia and North America. These large owls nest on the ground, usually creating a shallow scrape on top of a raised area of ground from which they can look out for potential prey. They breed in May to June, producing anything from 3 to ten eggs and occasionally more, depending on food availability. The young, which are pure white initially, are cared for by both parents. 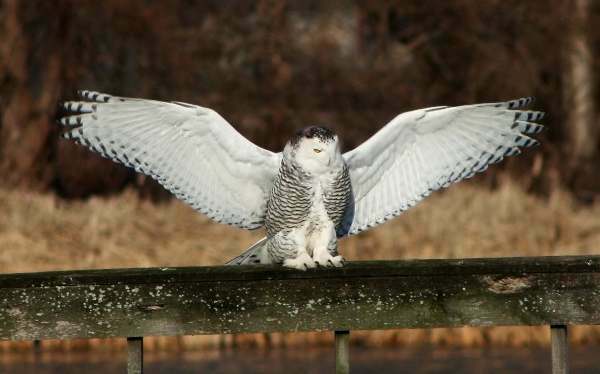 Mammals as large as rabbits, and birds up to the size of a duck, feature in the diet of Snowy Owls, which hunt mainly at dusk. This page includes pictures kindly contributed by Doug Holland.